When it comes to managing an online business, I know how hard it is to keep track of all your social media marketing, website updates, emailing, design and internal communications. It’s a lot to juggle, and I couldn’t do it without the help of these 10 tools. So I want to share with you the 5 Hot Online Tools I Can’t Live Without, to help you maximise your digital game and get your online organisation running as smooth as a smooth thing, on a smooth day. 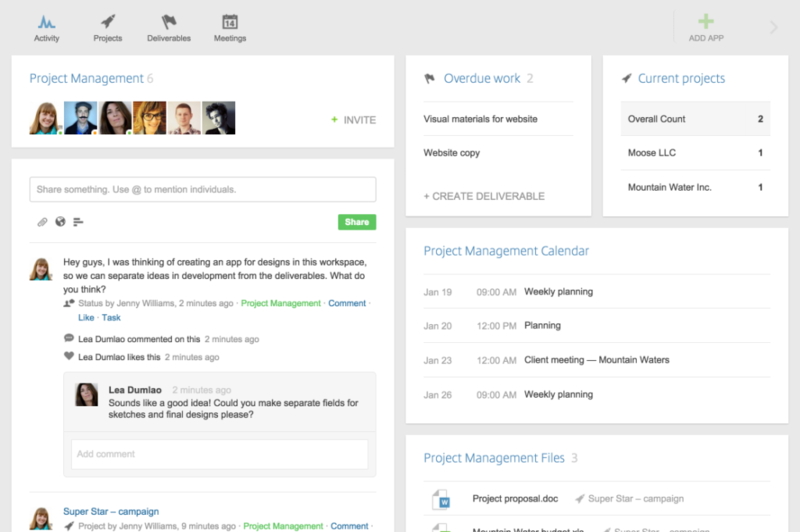 Podio is the online project management tool I use to keep track of all my projects, clients, team and collaborators. I’m going to go on a bit with the explanation of this one because it’s so amazing. It’s 100% customisable and can be used to communicate with other members of your team or keep your clients up to date on a project. You can share files, links, schedule meetings, set tasks or just add a simple comment or question. There are a tone of apps you add to each project, depending on what you need to achieve. For example, the brainstorm app, meetings app, and deliverables app. My favourite feature is ‘My Tasks’. This is where I can manage my workflow and set myself tasks and deadlines for the day and months in advance. I also use this feature as a place to save any interesting article links, and set myself the task to read them. You can assign tasks to other people too. They’ll get an email notification of the task, and when they’ve completed, they can tick it off and you’ll get notified that it’s done. Podio is the first thing I open in the morning, and the last thing I check and update at night. 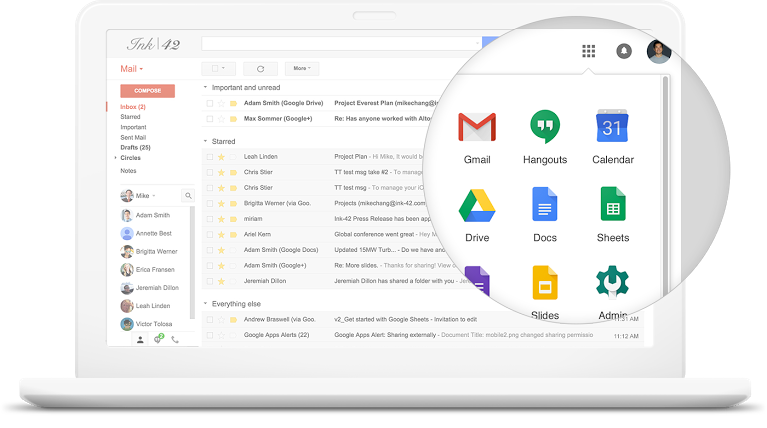 Previously Google Apps, G Suite is a set of clever apps including Gmail, Docs, Drive and Calendar that connect everyone in your inner circle, no matter where in the world they are. Think Microsoft Office, only better, easier to use and free. Gmail – This is the emailing app. It’s super easy to use and syncs with the ‘Google Hangouts’ feature where you can send instant messages and make video or phone calls. Docs – Google docs is the equivalent of Microsoft Word. It’s where I create proposals, draft blog posts etc. There are also google sheets (excel spreadsheet), and slides (powerpoint) as part of the package. Calendar – This is an integrated online calendar designed to easily share your schedule with your colleagues and clients. Drive – This is where you manage all of your Google documents. You can set up project files, or client files, and save any documents, spreadsheets or slides within those files and manage them all from Google Drive. The basic G Suite package is totally free, and you’ll have access to everything I’ve mentioned above. If This Then That is a great free tool that allows you to automate simple chains of events called ‘Applets’. You can set up your own Applets or choose from their pretty extensive recommended list. An example of an Applet could be, every time you post an image on Instagram, that images gets tweeted with the caption. Another on could be that, every time your tagged in a photo on Facebook, that image gets saved to your Google Photos. 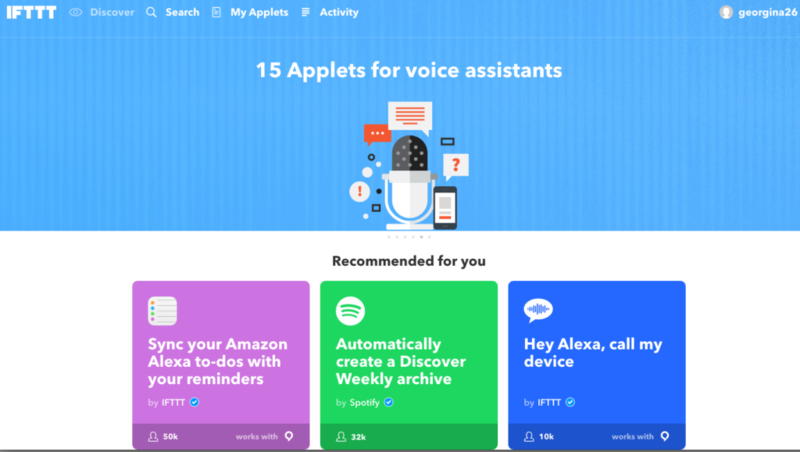 The applet is triggered by the changes you make on other web services such as Gmail, Facebook, Instagram, or Pinterest, and can save you a huge amount of time. 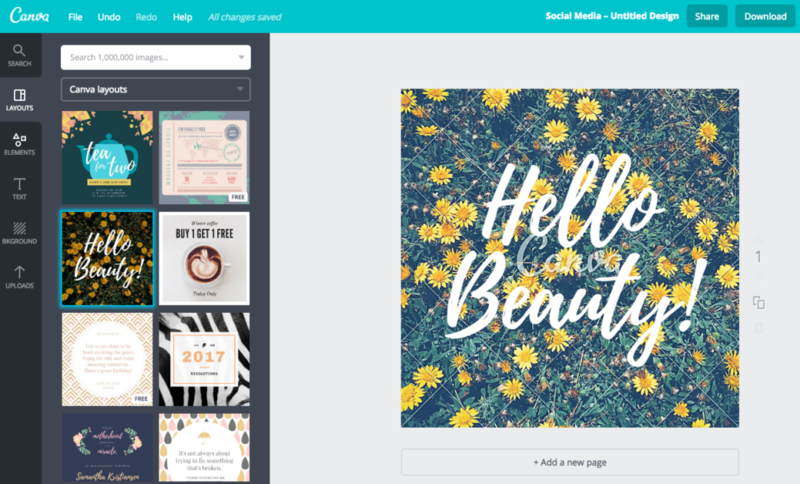 Canva is the easiest to use design program in the world. There are so many templates to chose from and style options available to help you create awesome designs for social media posts, posters, invitations, flyers, menus, e-books and a tone more stuff. You can upload your own images, and create your own templates if you’ve got a creative eye, or just pick one of their free and paid for templates and amend the colours and copy. Each image size is automatically formatted to suite different social media channels or paper dimensions. You can sign up for free and start creating awesome visual content. Buffer is my go-to social media scheduling tool that you can use on both desktop and mobile, to make sure your social profiles are kept updated and super fresh. You can schedule posts on 3 different profiles for free, but if you “Upgrade to Awesome” for less than £10 a month you can schedule on 10 different profiles. Which is great if you have to manage multiple social media accounts. You can view your social accounts at a glance with the calendar, check your scheduled posts in reminders and even repost old buffered posts. Buffer has it’s own analytics tool too, which tells you how your buffered posts has performed and gives you the option the Re-Buffer your most popular posts. Hopefully these 5 tools can help you maximise your digital game and get your online organisation running nice and smoothly.